Stonehenge has a traffic problem. The A303 has been the UK government’s preferred trunk road from London to the West Country since 1958 – but it runs within 165 metres of the 5,000-year-old monument. Narrowing to a single carriageway, it slows many a summertime car journey. The bottleneck brings noise and pollution, and presents a barrier to exploring the landscape on foot. 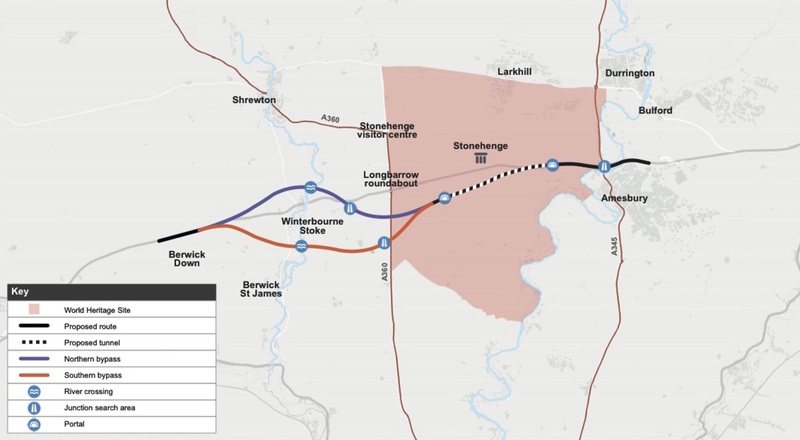 On January 12, Transport Secretary Chris Grayling announced plans for a Stonehenge Bypass, transforming the A303 into an “Expressway to the South West”. It involves building a dual carriageway and tunnel across the Stonehenge UNESCO World Heritage Site. As Highways England launched a six-week public consultation on the plan, the estimated cost of £1.4 billion was heralded by Historic England as “the biggest single investment ever made by government in this country’s heritage”. But the Stonehenge Bypass is absolutely not in the best interests of cultural heritage. Map of Stonehenge World Heritage Site with route of the proposed bypass and tunnel. The Stonehenge tunnel is, in fact, an old idea. Proposed in the 1989 Roads for Prosperity government White Paper, which launched the last major programme of roadbuilding in England, over the subsequent three decades arguments over a variety of schemes have multiplied, at an estimated cost of £30m in consultants’ and lawyers’ fees. This time around, the project is billed as in the best interests of cultural heritage. The existing road “spoils the setting of Stonehenge”, suggests Highways England. A new road would “improve our understanding and enjoyment of the Stonehenge monument,” chimes the joint National Trust and Historic England statement. Another old idea is being revived hand-in-hand with the tunnel – heritage restoration. The focus is the stones, not their landscape. Stonehenge is reimagined as a Stone Age exhibit untouched by modernity. The A303 would be grassed over at the stones while a new road twice as wide is cut across the World Heritage Site, but tunnelled within the paying visitors’ view. The aesthetics of this “Stonehenge Restored” are determinedly Georgian. A stately monument within rolling lawns from which shuttles run along a new coaching-road between Bath and London. That carriageway hidden from the monument, so customers can stroll an “authentic” landscape of the past, never glimpsing the present. Neither by the public, nor by those who have the care of public monuments, is the true meaning of restoration understood. It means the most total destruction … a destruction accompanied with false description of the thing destroyed. In Ruskin’s alternate vision of a “living monument”, the qualities of age-value and patina emerge through layers built up and eroded through human life and the passage of time. In the 1870s, this became the logic of William Morris’s “Anti-Scrape” movement – the world’s first heritage campaign. Ruskin and Morris understood that erasing later features to restore traces of some imagined original period leads not just to Georgian follies, but to downright misrepresentation. The 21st-century “scraping” of Stonehenge would conjure the illusion of an unchanging Neolithic relic. But the monument has been a centre of gravity attracting human activity throug five millennia. The mosaic of henges, cursuses, round barrows, inhumations, settlements, enclosures, field systems – and even buildings and roads – represents an ongoing sequence of movement, building, living, and deposition. It’s the prime example of what WG Hoskins famously described as the “palimpsest” of the English landscape, a layered document repeatedly written over. Approach to Stonehenge in 1930, from the east: A303 running to the left, A344 (closed 2013) to the right. This story encompasses the A303’s own history: laid out in the early 1800s as the “New Direct Road”, a coaching route from London to Exeter. It was less used from the 1840s with the railway boom, then became a major road from 1933, being defined as a trunk road by the Ministry of Transport in 1958. Stonehenge is not a site or an artefact, but an ever-changing landscape. Driving west on the A303 today, we glimpse the monument. This modern view is endangered. Since the 1960s, archaeology’s Rescue Movement has defended our past against the threat of destruction from the present day. Today, it is Stonehenge’s modernity that is under threat from a narrow vision of the past. Hiding the road from the stones would hide the stones from the public. Some 1.3m people will pass through the Stonehenge giftshop this year, but perhaps ten times that number will witness the monument from a passing vehicle. Those thrilling, often unexpected views may not be celebrated among the iconic experiences of global prehistory, but they are surely among the most democratic. Through these encounters, Stonehenge lives on as a public space. Year by year since the 1980s, public access to Stonehenge has been gradually restricted. This bypass would deal another blow to any chance of seeing the monument without paying the £15.50 entrance fee. 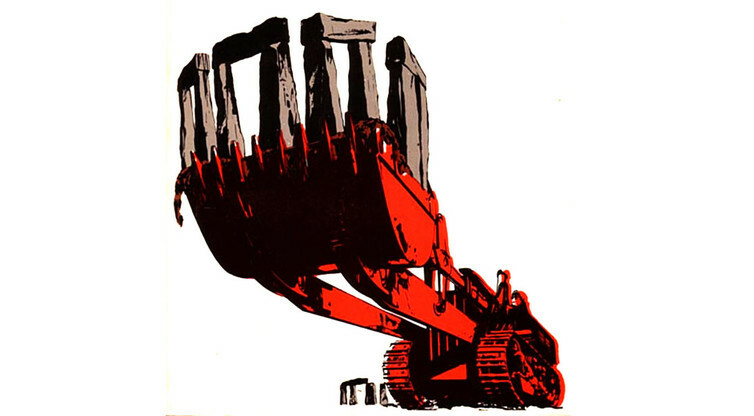 ‘Stonehenge under threat’: the iconic image of the 1970s Rescue movement. © Rescue, The British Archaeological Trust. “Every age has the Stonehenge it deserves – or desires,” wrote visionary archaeologist Jacquetta Hawkes in 1967. What do we desire for Stonehenge today? For some, the tunnel is the best compromise. New excavations would add to our understanding of the landscape (and bring jobs for archaeologists). Others call for a longer tunnel. And some dismiss the project as a destructive “time-bomb”. After all, with sliproads and dual carriageways, the project could result in a net increase in road surface within the World Heritage Site. One promising idea is to make the A303 one-way westbound, building an alternative route for eastbound traffic away from the monument – cutting traffic at Stonehenge in half while saving millions. In preserving the A303, that solution reminds us of the ongoing lives of our ancient monuments in the modern world. 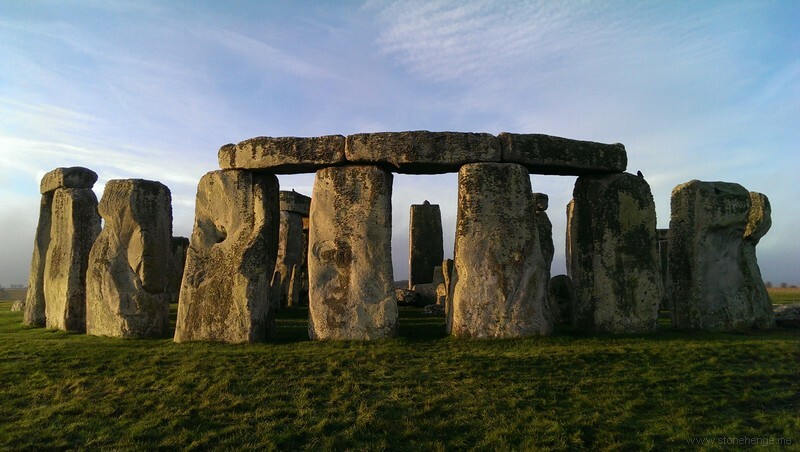 Stonehenge’s value lies not just in its prehistory, but also in its modernity. 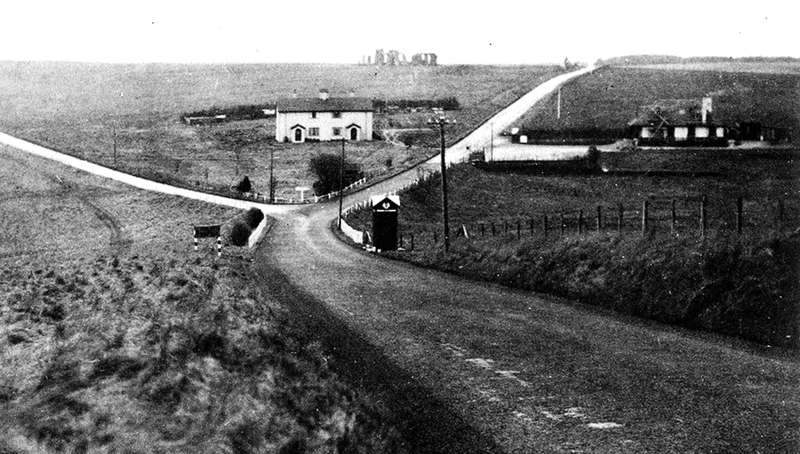 Today, the A303 is a crucial part of the monument’s setting. Yes, we must reduce the traffic. But why hide the stones from the world?